God’s word, a woman of prayer, having wisdom, I even had someone say to me that my life seemed perfect. Perfect marriage, great family, lots of friends and this awesome relationship with God. I am strong in my faith and confident in God. Recently a woman said to me, I just can’t be a submissive wife like you! Sigh. I don’t know the woman in the above description. I don't see what others see in me. Oh I might see moments of her, but more often than not I see a woman who struggles with way too many messes in life. I am so far from having life all figured out. But too often I am content with just letting people in general think what they want. Those who are closest to me know the truth. Just ask my husband how submissive I really am! Here is what I want you to know, what I need you to know. I struggle just like you. I am just trying my best to be the woman God wants me to be. But most of the time I fail because my trying is in my own strength. And when I try in my own strength I walk in my flesh instead of the Spirit and that creates all kinds of issues. Instead of being others focused I am often self focused. Instead meeting your need I will probably whine about no one meeting mine. When I walk in the flesh I am needy and life is all about me. I don’t have the perfect life or perfect marriage. I am blessed, very blessed in my marriage, family and friendship but it’s not because of anything I have done or because of who I am. I am blessed because of God’s abundant grace. And to be honest I don’t get why He would give me grace at all, other than once again it has nothing to do with me. 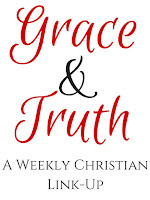 He gives me grace because of who He is not because of who I am or what I have done. I sit here looking at the state of my heart and the pieces of my life that are a mess and I just don’t get it, but am grateful that still He pours His grace on me. So could I ask a favor? Could we stop comparing ourselves to what we think we see in others? Could we stop assuming that anyone has it all together? Because trust me, after walking over 50 years on this earth, I have not found anyone who really has it all figured out. Did you hear that? No one has it totally together. We all have parts of our lives that are a mess or in pieces. We all struggle to get through certain days or seasons of life. And yet, what you might see in the more seasoned or mature (okay…older) woman (or man) is a contentment of knowing they don’t have it all together. They have lived long enough to realize that they will never have it all together, they will never understand it all, and they will never arrive at perfection. They have come to the place where they can just rest in knowing and trusting in the One who is perfect. They rest in the knowledge that they are a work in progress and the Spirit will continue to work in them until they day they see Jesus. At least that is what I hope…because I haven’t arrived here yet either…. So perhaps instead of assuming anyone has it all together and being totally shocked when they fail, say something ugly, or behave in a way we think is uncharacteristic of them we should just give them grace. Perhaps we should just assume that’s not who they want to be, give them grace and love them through it. I love this! You're so right! It is easy to get caught up in the assumptions of other's lives when we only see it online, in a beautiful web space, neatly edited. I appreciate your honesty! Thank you Carrie, you are so right we truly do need to remember that we only see one side of people especially if our only contact with them is on social media. Regardless of how hard we try it's difficult to truly see the whole person online. Yes, I get the same thing (though not to your extent because after all, you do have it more together than I...grin). People have commented about how I have handled my circumstances so well in the past 4-5 years. It makes me wonder what they see since I certainly don't see/feel that I have done so well. Am I giving the impression that all is well when there are so many times that all isn't? I see my heart with all its flaws...and tend to focus on them. Do others see good in my heart? Or do they see a mask of goodness? Oh friend, this is beautiful! I'm a mess and hear lots of the same things from other people. But really, I do believe that they do see Jesus in our mess, because His grace covers. I am so thankful you shared this. Yes! 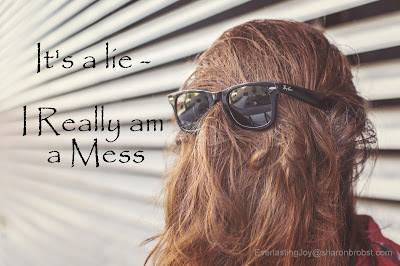 Jesus does cover our mess and it's Him they see...at least I hope they do! :) Thank you for stopping by! I'm a mess too, Sharon. 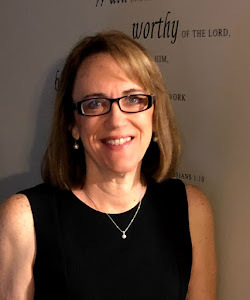 A Pastor's wife who has had lots of labels and expectations placed on her. I love the blogging community where so many of us have shared this truth. Stop comparing and love better. That is the goal. 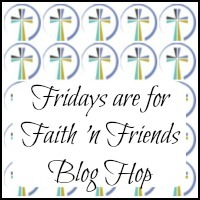 Blessings to you and thanks so much for joining the Faith 'n Friends Blog Hop. You hit a bullseye into my heart, because this is the same message I seem to be writing about over and over. Saw your featured post on the Faith and Friends blog hop. Thank you Mary for stopping in....I think I will repay the visit and see what God is saying through your heart!